Selling a home is not easy, especially for first time home sellers who are not working with a real estate agent. If you are looking to sell your house quickly, you need to seek professional assistance from a certified and experienced real estate agent. Plus, you also need to learn about some trade secrets to help you successfully and quickly sell your home at a reasonable price. You have to make the exterior of your home as appealing and welcoming as its interior. Keep in mind that potential buyers start judging your house the minute they lay eyes on it. So you have to be able to create the best first impression at your curb and driveway when selling a home in Myrtle Beach. You do not have to spend a lot of money on this because you can simply add a couple inexpensive shrubs and flowers to make your driveway more inviting. Your goal is to welcome the potential buyers and make them feel comfortable and at home when walking to your house and before entering the front door. When you decide that you’re going to be selling a home, you will need to do some tidying up to make it look appealing before you take photos for the listing. Once you have listed the house for sale, you then need to always keep the house in tip-top shape because you never know when potential buyers might show up to check out the house. Some buyers will call first to confirm the listing and location of the house as well as your availability to set a date for when they could visit the house. There are also buyers, who may already be in the neighborhood and may forego calling you before they stop by. It is because of these situations why you need to keep the house in tip-top shape. Regularly clean the house, dust cabinets and shelves and make all the windows and mirrors sparkle. 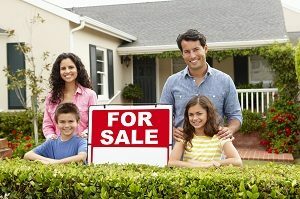 Although this requires a lot of time, you can be sure that this will help your house sell more quickly. The kitchen is often the deciding factor for many homebuyers. This is primarily because the kitchen has become more than a place for meal preparation and cooking. The kitchen now also serves as a gathering area not only for the entire family but for guests and friends as well. Thus, homeowners are often eager to look at a home’s kitchen before deciding to buy the house. Considering this, it is important for you to invest in some kitchen upgrades and renovations, depending on your budget. You need to make your kitchen look up to date by replacing your stained and worn out countertop, painting the cabinets and walls, and installing new cabinet hardware. When painting, make sure you use a neutral color to still allow the home buyer to envision how they will decorate the kitchen. It is important to remove anything that says the house is still your home. These include your photos, paintings, personal collections, and your decorations. But you do not need to make the house bare. Leave some of the living essentials such as furniture and fixtures. The key is to make the house comfortable for living, allowing the potential home buyer to see himself and his family living in the house. When selling a home, it can be easy to get carried away with repairs, upgrades, and renovations. Not all renovations, however, are necessary for you to sell your home. Although it is true that these renovations can help you sell your home quicker, there is no guarantee that you will get back the full amount or even half of what you spent on the renovations. Thus, it is important to carefully plan only the needed repairs and upgrades. Make sure that you will not spend a lot of money on the repairs and that you can get back the money you spent on these repairs. It is always best to work with professionals when selling a home. Call Full Potential Real Estate LLC now and speak with one of their real estate agents.